A vehicle is one of the most complex pieces of machinery most Americans are likely to ever own. Their inner workings are intricate, and require the perfect balance between man and machine to keep them properly working. Cars are not easy to work on, which is why entire schools and industries exist for the sole purpose of fixing them. It is important to have these experts on hand to work on your vehicle when it needs it, but it is also important for you as the driver, to be aware of the basic aspects of your car. When it comes time to get your vehicle fixed, you can have a better idea if what you need is a simple oil change, or an extensive transmission repair. Albany NY residents, we have the scoop on everything you need to know about your transmission, and steps you can take to help prolong its life. Just because you aren’t a specialist in automotive repair, does not mean that you should remain in the dark regarding one the most important components of your vehicle. It is said that the engine is the heartbeat of any car. While this is true, it can also be said that the transmission is the vessel that keeps the heart of your vehicle pumping. Without the transmission, even the most powerful engine would be rendered useless. The transmission is responsible for moving power from the engine to the wheels of the vehicle, allowing it to move at your command. 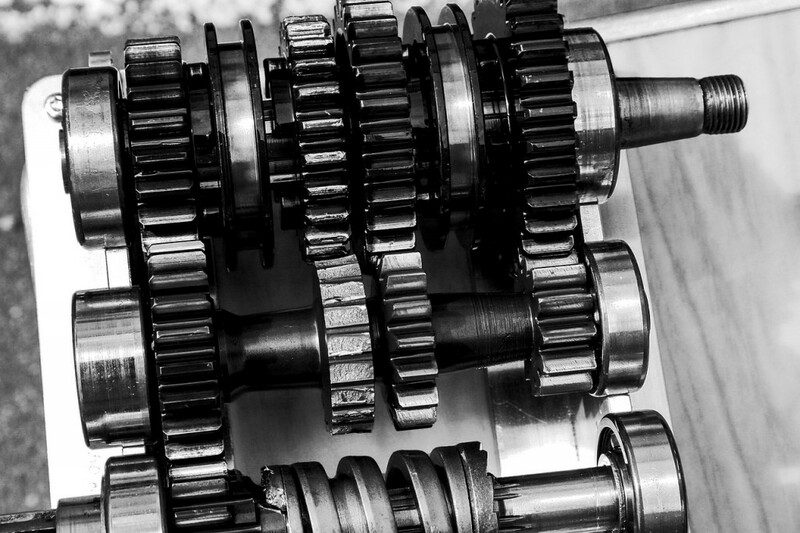 Oftentimes referred to as a “gearbox,” the transmission consists of multiple gear trains and gears, to help with engine torque and the speed of a vehicle. There are two main transmission types – automatic, and manual. A transmission features varying gear ratios and switches between gears as the speed of a vehicle changes. On a manual transmission, the driver is responsible for changing gears, while an automatic transmission does this without any driver input. These two basic categories are largely self explanatory, while the other transmission groupings get a little more in-depth. With the call for increased efficiency and enhanced power, new transmission types are being incorporated into vehicles at a steadier pace. A dual-clutch transmission allows the driver to navigate in either automatic or manual mode, while the continuously variable transmission (CVT) does not utilize individual gears at all. It is also important to note, that a transmission is only essential to vehicles with a gasoline engine. Electric cars do not require internal combustion, so there is no need for the presence of a transmission. 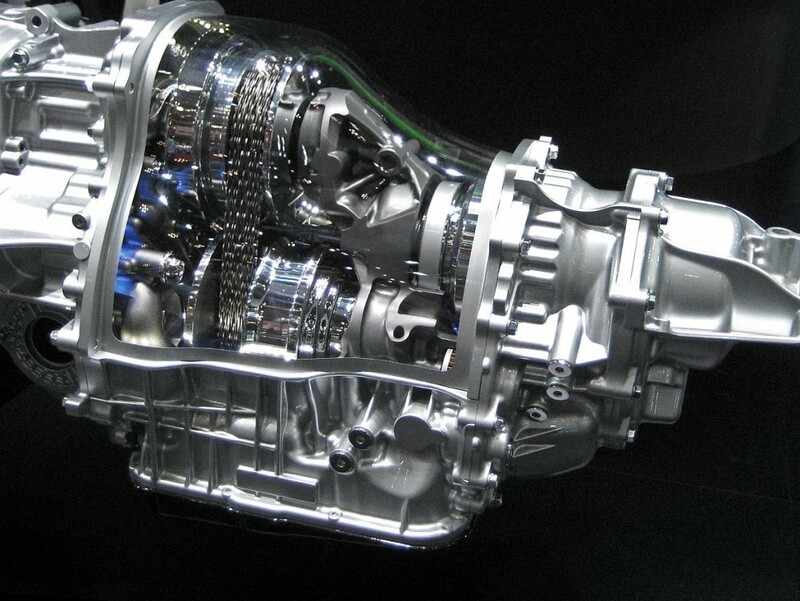 Because the transmission is one of the most essential components to a vehicle, servicing or replacing it can be costly. Just like we take certain steps to ensure our bodies stay healthy, there are also ways to help ensure that your vehicle’s transmission stays in good working order. If you own your vehicle for an extended period of time, servicing or replacing your transmission is likely inevitable. But, if you follow these ten steps, you will have a better chance of prolonging the life of your transmission – and in turn, your vehicle. Don’t Ignore Warning Signs: If your check engine light comes on, or you notice fluid leaking on your garage floor, DON’T ignore it. While these are not always signs of a transmission issue, they are indicators that something with your vehicle is not right. If you take your car in as soon as you notice that something is off, you have a better chance of fixing it before it becomes a major and costly issue. Service Your Transmission: Oftentimes, car owners opt to ignore their transmission, thinking that regular service to it is not a necessity. This can be a major mistake, as the transmission needs regularly scheduled maintenance to prolong its life. Every year, have your transmission fluid changed, along with the filter. Check Fluid Level: Whether you decide to change your transmission fluid every year or not, it is important to regularly check the fluid level. If your vehicle has an automatic transmission, then a dipstick can give you a clue to the level of fluid your transmission has. If you are ever in doubt, bring your vehicle in for a quick inspection. Tune Your Engine: The transmission and engine are intricately linked, working together closely to properly run your vehicle. By keeping your engine in good health, your transmission will benefit as well. An engine that is in proper working order, puts less stress on your vehicle’s transmission. Service the Cooling System: Your car’s cooling system helps keep both the engine, and transmission fluid cool. If your cooling system is not working properly, the transmission can be damaged much sooner than the engine. A simple service to your cooling system can save both your engine and transmission from needing a premature replacement. Consider a Cooler Line Filter: A transmission on a vehicle will work as it was intended, without any additional help. However, adding in certain filters can help your transmission run better, and for longer periods of time. The addition of an in-line filter to the cooler lines on your transmission, can help remove contaminants and debris that can severely damage your transmission. This component can easily be added at your service and repair shop, and is a cost-effective way to keep your transmission running properly. Ask About a Friction Modifier: The next time you head into your service center, ask about having a friction modifier added to your transmission fluid. Not only does this help extend the life of your transmission, it also increases its reliability and function. If you are ever in doubt regarding any issue on your vehicle, don’t hesitate to bring in the professionals. Mechanics go to several years of schooling, and hold various levels of professional certifications, in order to gain the knowledge it takes to care for a vehicle. Taking your vehicle to a certified professional mechanic will save you from headaches down the road, and extend the life of your engine, transmission, and in turn – your vehicle.